Where to begin! 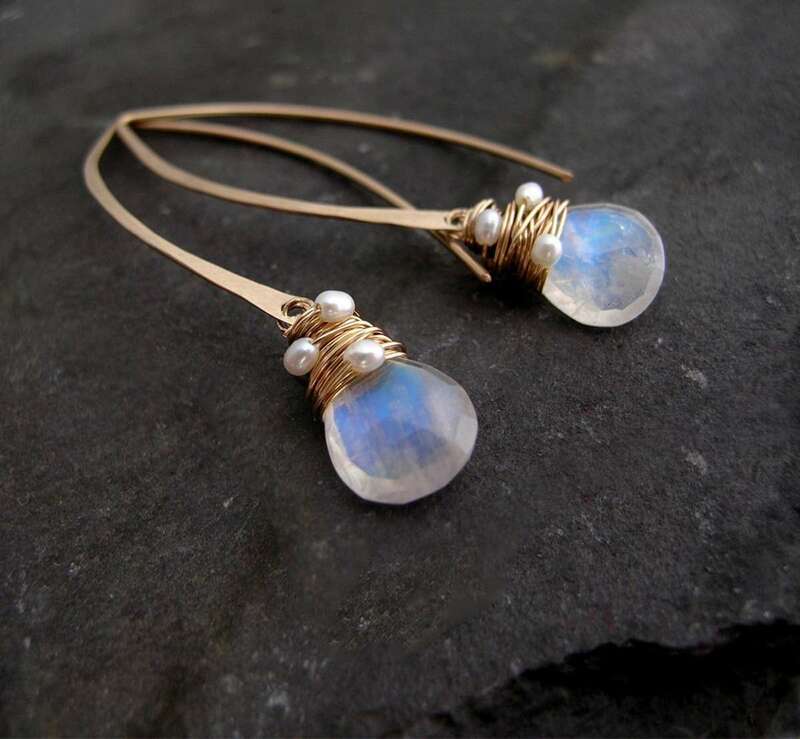 Rainbow moonstone appears time after time in my collection, and that’s because I love working with it, and I love wearing it myself. For almost 15 years now I have been working with the same moonstone dealer, knowing the source, is knowing the stone, the provenance and traceability of this stone are important to me, and this notion speaks with in the pieces I make with moonstone. 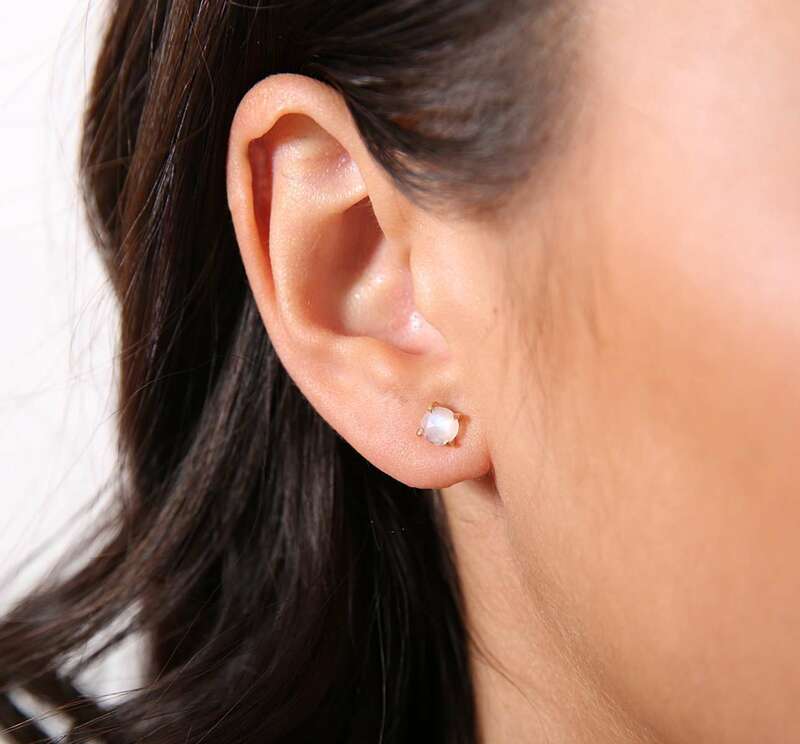 I know this bewitching gemstone in and out, I take pride in the quality of moonstone that I offer in my jewellery. Here’s a little bit about the history of Moonstone; it isn’t difficult to see where it gets it’s name. 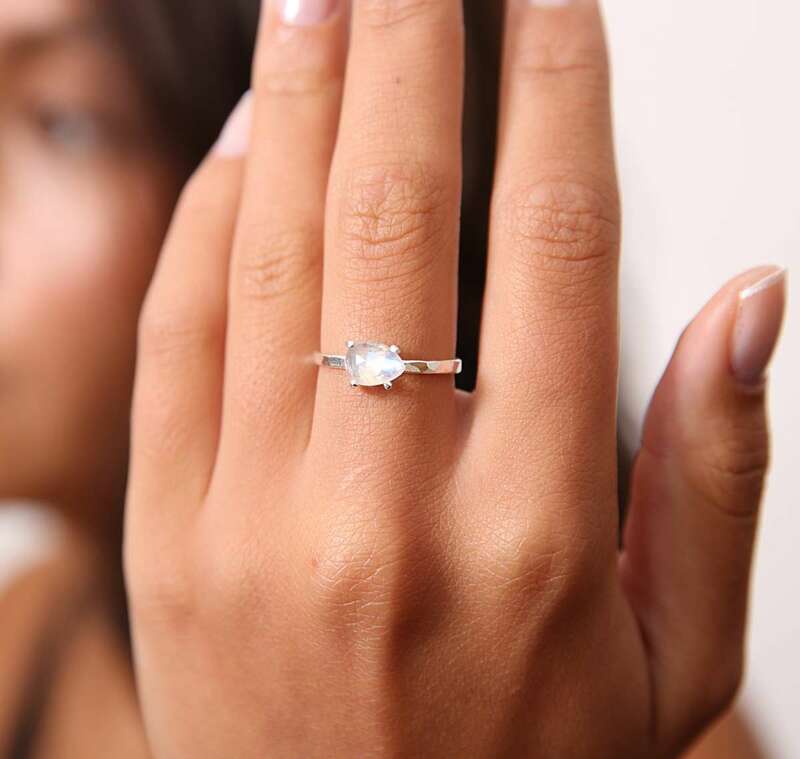 Hindu mythology believed moonstone was literally solidified moonbeams, the dancing light and glow of moonstone can definitely be likened to the lunar light, as seen through a thin veil of cloud. A glow from within. The glow, or ‘blue fire’ as it is sometimes called, is actually caused by the stones internal structure which scatters and refracts as the light hits it. This phenomenon is known as adularescence. 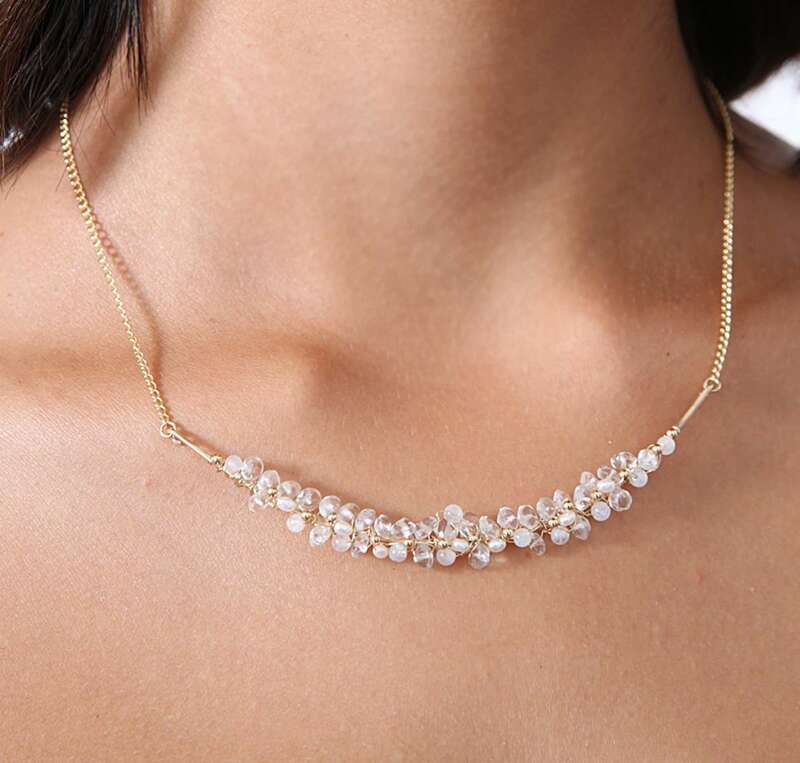 The most marvelous thing, as all moonstone lovers know, is there are no two pieces a like, the refractive structure of the mineral changes from one cm of material to the next, so the light play and the look will also change – magical. This entry was posted in Moonstone Jewellery. Bookmark the permalink.